One Platform. All Stakeholders. Easy. Compliant. Better. Medical device teams choose Movemedical when they need to increase sales & asset utilization while gaining true inventory visibility, control & compliance. Helping sales actually spend time: selling. Technology and innovation has finally come to the rescue for medical device sales reps. Imagine if you could minimize admin work, focus on sales and service, and do it all with just your phone? Real-time, meaningful, accurate, & actionable data. Accurate and accessible data. Because everything a sales rep needs to do is found in the system, they actually use it — making their life easier. The more they use the tool, the more data you will get. The data is real-time, the best kind. With better data you can finally deliver customized forecasting and patient specific care. Finally perform event-based marketing ROI and predictive asset planning. They now have a beautiful simple calendar integrated with a personal schedule that is tied to their inventory. 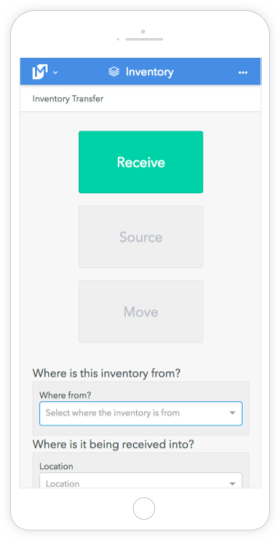 They get automatic notifications for expired inventory and consignment management, they get notifications to receive or send inventory, and can complete them with minimal effort. 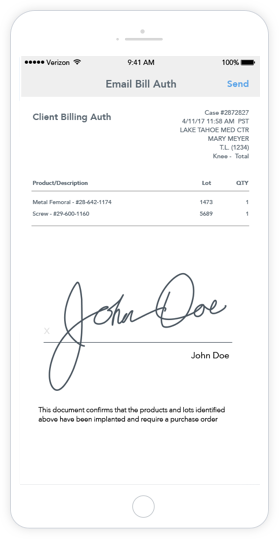 Skip the trip to FedEx and print a label from anywhere. All your usage headaches, solved. Movemedical processes usage, authorization, bills and takes care of invoicing. Usage is captured at point of implant, then the system begins processing. Usage is captured, reconciliation is completed and communicated to the ERP, and then the bill is generated. Finally, Operations and Sales on the same page. 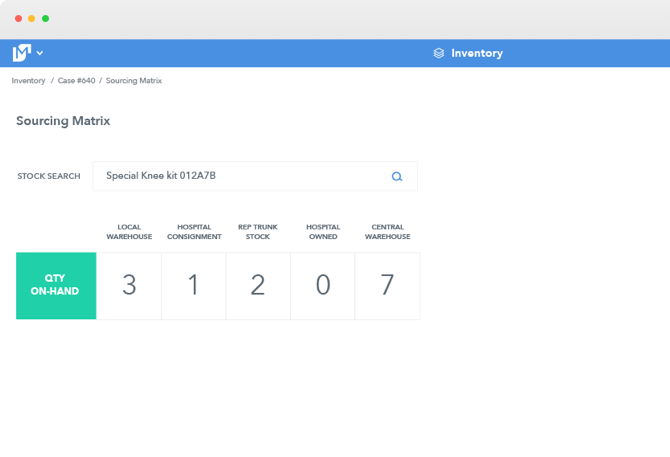 In addition to the warehouse and inventory management systems our patent-pending field functionality seamlessly connects the ebbs and flows of inventory within the field and hospital environment (complete product catalog, lot swapping, par management, back to back surgeries, replenishment from loaner, consignment, in-transit filling, reconciliation, etc). HIPAA compliant messaging platform, built in. Messaging to strengthen your surgeon and team relationships. Build your case, request product, and communicate to all stakeholders. All communication is tied to each specific case so there is no more hunting through multiple systems. A fully integrated (ERP/CRM) field application that allows every person to do everything they need to do. The seamless integration and user friendly functionality creates full visibility while driving maximum efficiency. Movemedical makes Everything Work.